If you peered into my closet over a year ago and then again today, the two lineups staring back at you would look pretty different. When I made the transition from college into a full-time job, I didn't experience much (or really any) of the angst and discomfort everyone talks about. 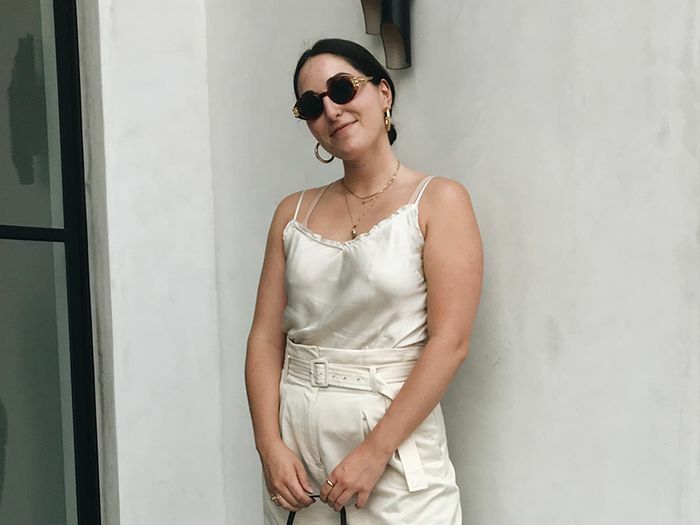 I was lucky enough to land my dream job at Who What Wear fresh out of school and felt beyond prepared to jump into working full-time—except when it came to my wardrobe. Suddenly, all the pieces I wore on repeat as a student would no longer do. I was moving to an office. As much as I wore and loved things like my Birkenstocks, ripped-up jeans, and graphic sweatshirts for life on campus, I quickly learned they'd have to be retired (or at least put on hold until the weekend). Now, no one sat me down and said "wear this, not that"; instead, I simply decided to take stock of where my style is at now versus where it was before this distinctive life change. What I found in the year since is that I've naturally moved away from my previously super-casual way of dressing and have embraced a bit more polish. Ahead, see which seven things I learned not to wear to work and which pieces I've gravitated toward instead. 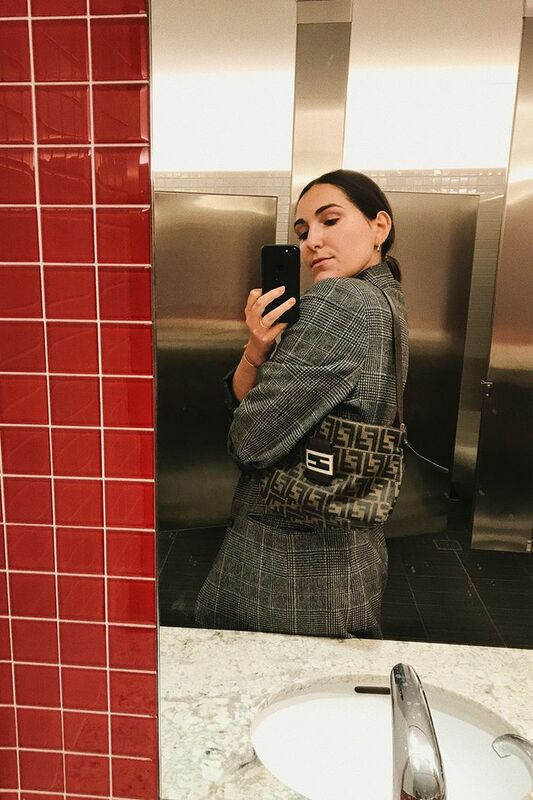 There's nothing that makes an outfit look put-together faster than throwing a blazer on top, and with so many cool blazer trends these days—like checkers and pastels—they've outweighed their cozier counterparts as my jacket of choice for the office. Although, it should be noted that I'll occasionally bring back my hoodies to layer underneath blazers for a streetwear feel. Much to my horror now, my denim trend of choice used to be heavily distressed jeans. These days, I keep the fraying to a minimum (a hem here or a slit there) and lean into darker washes that inherently look more put-together. Looking back, I cringe all the sky-high heels I wore to date parties and events. Teetering in a pair of six-inch stilettos was not a good look for me. Now that those days are behind me, I'm gladly retiring heels I can't walk in for block and kitten heels that can easily go from the office to an after-work event. These days, I like to keep my jewelry consistent. I wear all-gold pieces and have traded in quirky mismatched items for delicate layering picks like pendant necklaces and hoop earrings. As a college student, I carried around my laptop and books everywhere I went, so anything nicer than a flimsy tote bag was inevitably going to take a beating. Working in an office now, though, I've updated my tote bag to a sleeker leather option that still holds everything but feels much more professional. I've reserved my tinier crop tops for the weekend. At work, I mix in more tops with slightly longer hemlines that hit perfectly (and don't reveal any midriff) when I'm wearing high-waisted jeans. While walking all day around a college campus warranted the most practical footwear choices out there, I retired my Birkenstocks, Tevas, and other more casual sandals in place of sleeker—but no less comfortable—slides and mules. Next up, see which expensive-looking pieces I'm secretly buying on the cheap this fall.